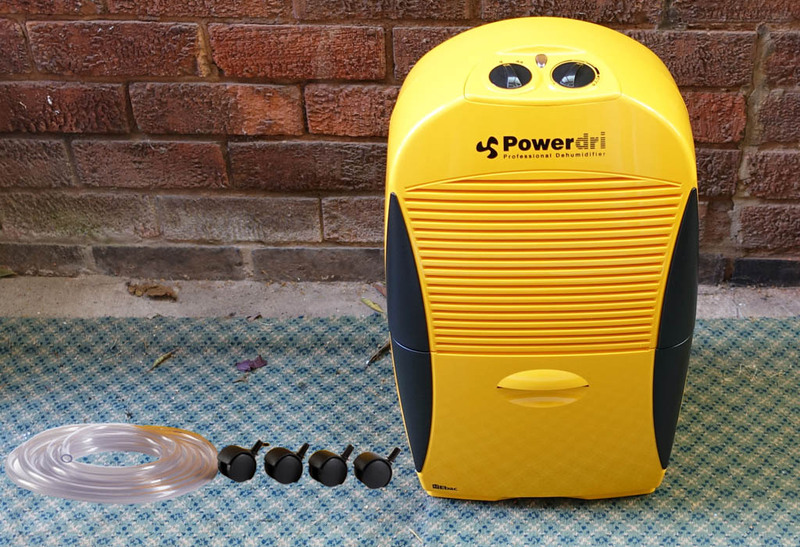 The 18L Ebac Powerdri is aimed at heavy home use, trade, workshops, and garages, and just to ram that point home Ebac have placed the guts of this low energy dehumidifier in a tough ABS case that’s bright yellow and black. It’s also blindingly easy to use, even with damp, dirty, or gloved hands thanks to the two simple dial controls placed for maximum convenience right on the very top. Does it deliver the goods? Well yes, I’m happy to say it does, read on. 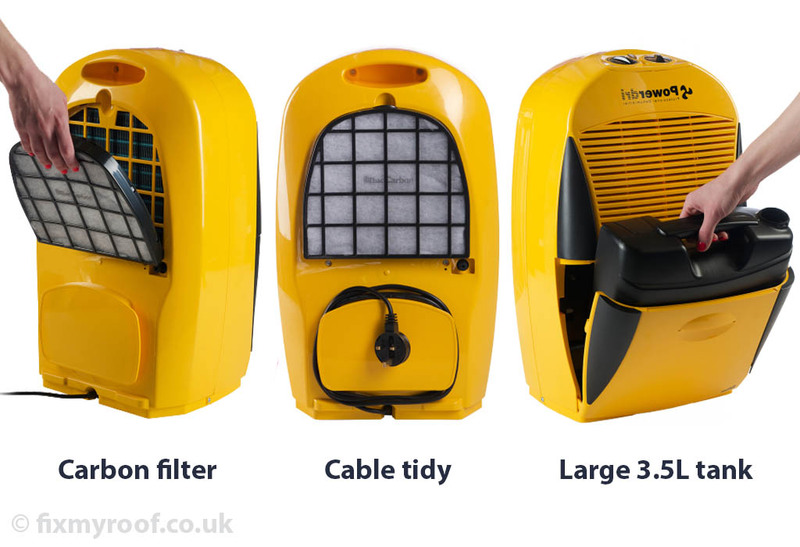 With the yellow and black colour scheme, it’s hard to miss, great news if your are using this onsite or in work / public environments where visibility is also a health and safety concern. Size wise it’s nice and compact with no unnecessary bulk to get in your way or waste space. Width : 34cm Height : 54.5cm Depth : 28cm. In weight terms it’s not light at 14kg’s (30lbs), but it’s not what I would call heavy either, and it’s not exactly marketed at little old ladies to be fair. There is a carrying handle indented near the top at the rear, and castor wheels are provided in the box, so if you do need to wheel it about, it’s no problem. 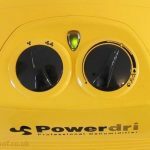 This dehumidifier is suitable for up to 4 bedroom homes, or areas of 180m² – 360m², so I can see this being adequate for most home, workshop, or trade situations. Maximum water extraction comes in at 18 litres per day under ideal conditions, and the water collection tank is a very generous 3.5 litres which is easy to remove and empty. There’s also a continuous drain function if needed, it comes with the hose required, and they give you plenty of it too. I was very impressed. Power consumption is very low, and amongst the very best on the market at a power sipping 180w. This is exactly what you need if you will be running this for extended periods of time, as most trades would tend to do. It has a humidistat dial, which is fully manual so you have total control over it. However it doesn’t have any indication of what you’re setting it at, apart from a paint roller icon, a wet T-shirt and other non descript icons. It’s a shame they didnt make this clearer with some relative humidity % figures as well for those who might need it, so if you are using this to try and maintain a set RH, you may need to buy a cheap humidity meter. Otherwise simply crank it up to maximum, then throttle it back as you see fit. In noise terms it’s a pretty much the average industry standard 46dB for a compressor based dehumidifier. This isn’t one for placing in a bedroom while your trying to sleep, but it’s not meant to be. Certainly on site or in a workshop it will be the quietest thing in there by miles. Think of your home refrigerator running and you get the idea, you can hear this in my video at 1m44s here. This is one of the newer more economical compressor based series of dehumidifiers, meaning it can function from as little as 10 to 35C, making it a good choice for most environments. But Ebac say it can still function as low as 3C so I decided to test out this bold claim. When I tested it in a cold unheated metal shed in November, it managed to extract 1.3 litres over a 24 hour period. This may not sound too impressive until I mention that during that 24 hour run, the highest temperature was 10c, and at its lowest only 2c. It also removed all traces of condensation from the inside, and for a compressor based dehumidifier at only 180w, that’s very good. During a two hour testing run indoors it brought down the humidity very quickly extracting 310ml of water in the low speed test, whilst lowering humidity from 68%RH to 49%. Test two started at 69%RH and lowered it to 47%, which extracted 349ml of water in the process. 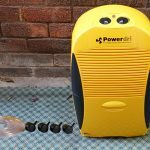 As a side note I also used the Powerdri to dry my lounge carpets after valeting them, again it worked admirably drying them out nicely, even in mid November. Firstly and most importantly it’s worth mentioning the special hydrophilic coating that Ebac have added to the internal coils inside, this helps to stop the freezing and subsequent inefficiency that other compressor based dehumidifiers experience, especially at lower temperatures. That means that it can be up to 44% more efficient than other dehumidifiers. 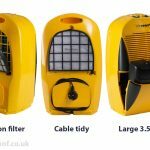 It comes with a 2 year guarantee, UK customer care, and a 3 metre power cord, castors, carbon filter and long continuous drain hose. You can find the Ebac powerdri manual here. It’s hard not to like this machine because it doesn’t pretend to be anything it’s not. 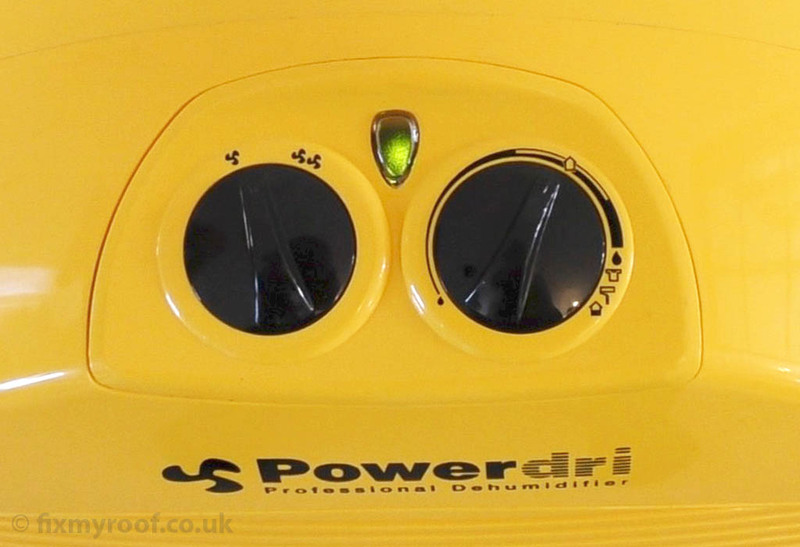 If your looking for an economical, no nonsense, robust dehumidifier that’s simple and easy to use you’ve just found it. 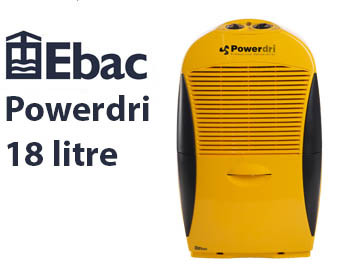 Whether you’re drying carpets, upholstery, plaster, mortar, paint, or want it for home, workshop, storage or a garage, the Ebac Powerdri is well worth a look.